The newest additions to my flower planter collection includes this cute metal planter I found at a flea market in Burnet, Texas. I bought two 8-inch pots similar to the one in the top tier with the intention that the matching set would be perfect. Little did I realize that although the base fits an 8-inch pot, the opening to get the pot into the bottom tier is only 6 inches. So I had to settle for a smaller, blue pot there. 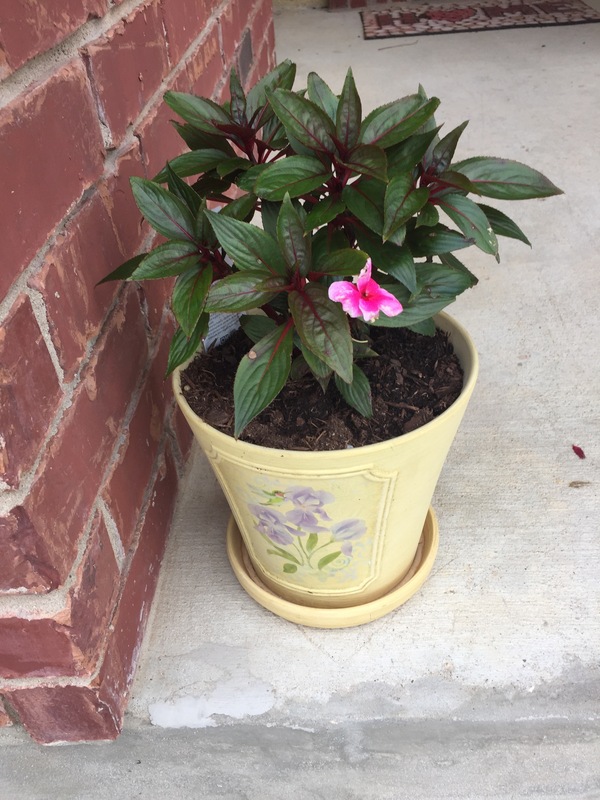 The other 8-inch pot sits in another spot on my front walk (below) and looks cute in its own right. 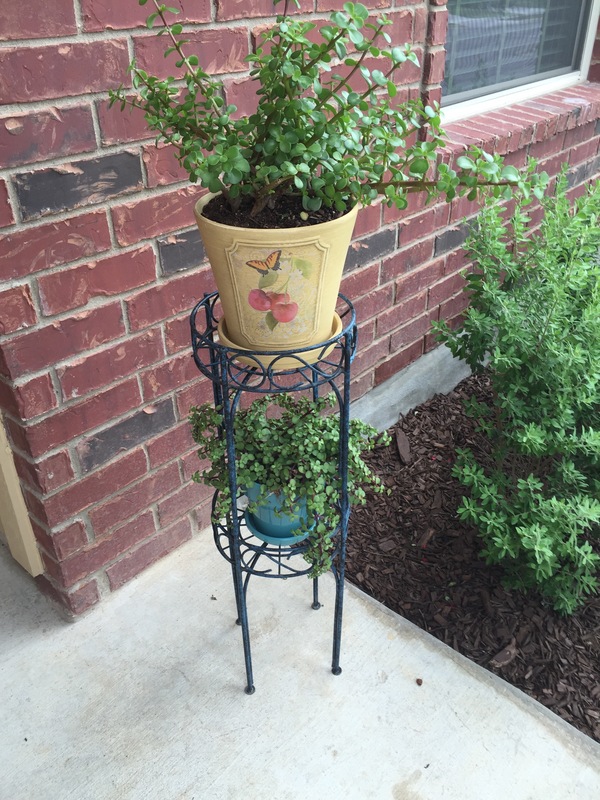 This entry was posted in Gardening and tagged flowers, planters, pots on June 19, 2015 by Julie Riebe.